First introduced in 2012, Angel’s Envy Cask Strength is a limited annual release bourbon from the Louisville Distilling Company. Like the regular release bourbon from Angel’s Envy, the annual Cask Strength release is a Kentucky bourbon that spends additional time aging in port barrels. This year’s Cask Strength release consists of 7,500 bottles (a slight increase from last year) which will be released in about a dozen states this month where it will carry a suggested price of around $170. While the exact age isn’t disclosed, press materials state the bourbon was aged “up to seven years” in new charred white oak bourbon barrels before beginning the port barrel finishing process. The 2015 edition is the strongest Cask Strength release to date, weighing in at a hearty 127.9-proof (63.95% alcohol by volume). It is deep golden in color and the nose features caramel and plum notes, along with some heat to remind you of the proof. On the palate, the bourbon shows a delicious combination of red fruits, vanilla, pound cake, and oak. A splash of water reveals even more flavors, including clove, butterscotch, and hints of mint. The finish has more caramel and berries that linger on the roof of your mouth. 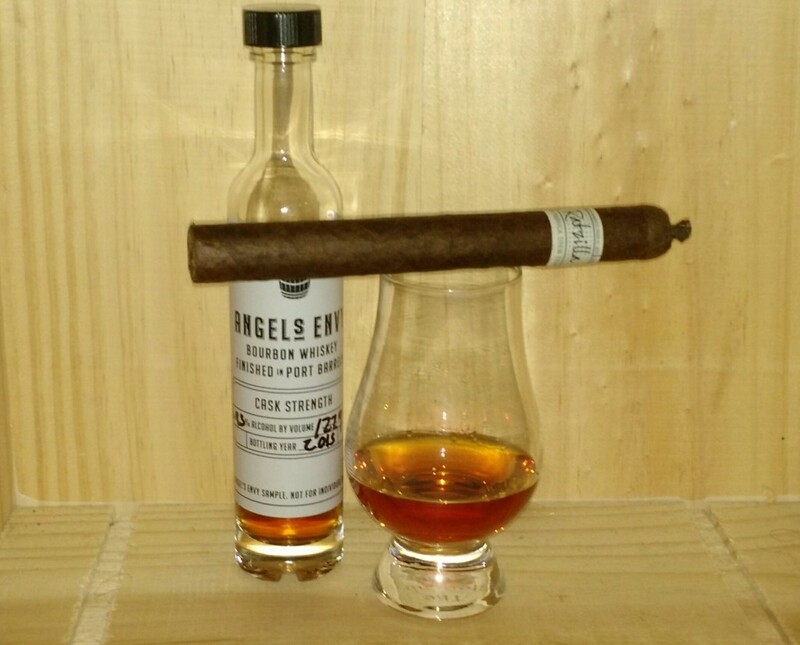 While I never got to try the highly-regarded 2012 and 2013 Cask Strength Angel’s Envy expressions, I can say I think the 2015 surpasses last year’s edition. A splash of water opens it up nicely and really allows the subtleties to shine past the considerable alcohol strength. With or without a splash of water, this is a bold bourbon that needs a full-bodied cigar pairing. Here are a few suggestions that should hit the mark: Liga Privada Dirty Rat, La Flor Dominicana Limitado V, Arturo Fuente Opus X, and Tatuaje Havana VI Verocu.